AMDA | AMDA News - AMDA Alumnus Kyle Scatliffe nominated for an Olivier Award! 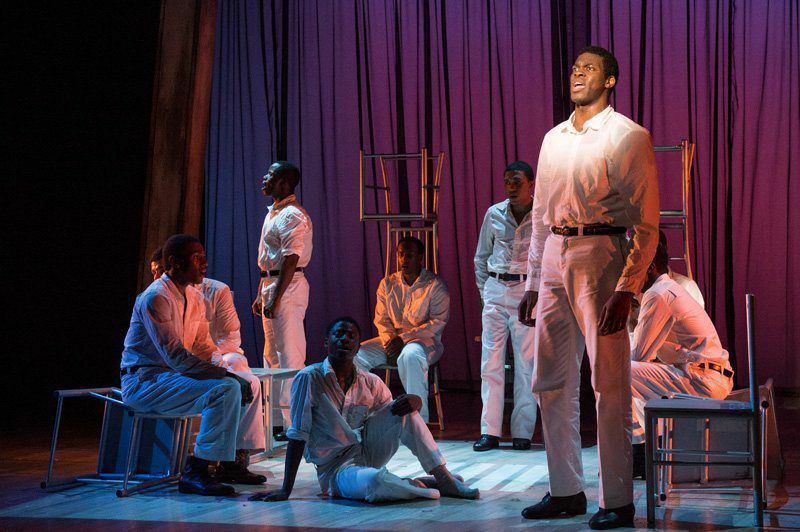 AMDA Alumnus Kyle Scatliffe nominated for an Olivier Award! Congratulations to AMDA alumnus Kyle Scatliffe who has been nominated for a 2014 Olivier Award for BEST ACTOR IN A MUSICAL for his portrayal of Haywood Patterson in the London West End production of The Scottsboro Boys! Kyle performed in The Scottsboro Boys throughout its West End run from October 18 to December 21, 2013. Directed by the multiple Tony Award winning Susan Stroman, the production is nominated for a total of 6 Awards. According to The London Evening Standard “the stand-out performance comes from the imposing Kyle Scatliffe as Haywood Patterson...," The Daily Mail called Kyle “charismatic” and says “Haywood’s songs Go Back Home and You Can’t Do Me are among the best of the numbers," and the Guardian UK proclaimed "The cast is dominated by the outstanding Kyle Scatliffe as Haywood Patterson – tall, commanding and with a hotline-to-heaven of a voice." About the Olivier Awards: Named after Britain's legendary leading actor Lawrence Olivier, "British theatre’s most sought-after awards have been a mark of theatrical greatness since they were inaugurated in 1976 as the Society of West End Theatre Awards. The society is now known as Society of London Theatre (SOLT) and its glittering awards are now the Olivier Awards in honor of a theatrical legend." A full list of 2014 Olivier Award nominees. Kyle Scatliffe is currently performing in his Broadway debut as Enjoras in the 25th Anniversary revival of Les Miserables. For tickets to see Kyle and fellow alumna Caissie Levy (Fantine), visit: lesmis.com/broadway.